Online information on RS232 communication with a Visonic PowerMax Plus/Pro home security system describes the pinout of a 10-pin header. The photograph below shows the 4-pin RS232 interface of a regular PowerMax system. Counting from left to right, the RXD (yellow wire) of the FTDI TTL 3V3 cable connects to pin 2. Pin 3 is used for TXD (orange wire). 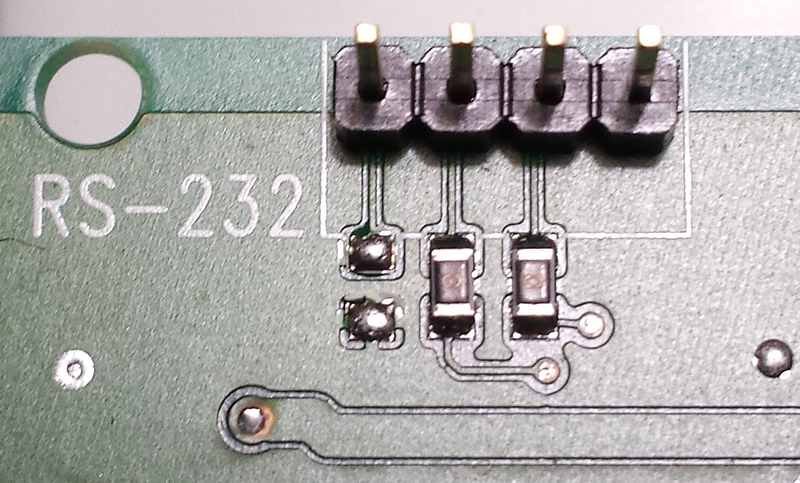 The fourth pin is used for ground (black wire). This entry was posted in Electronics, Hacking on October 24, 2017 by radko.